Super Stars of Hold’em does for hold’em what Doyle Brunson’s Super System 2 did for poker. 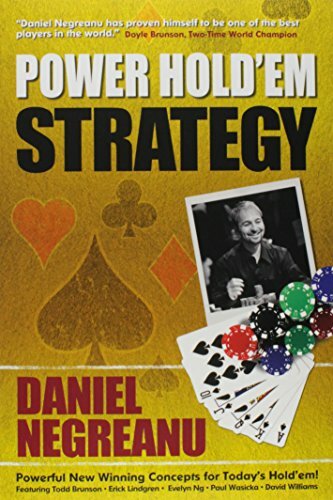 Negreanu gathers together the greatest young players, theorists, and world champions of hold’em, to present insider professional secrets and winning strategies for the only poker game that counts nowadays-hold’em. Ten powerful chapters cover every aspect of the major hold’em games-limit, no-limit, and pot-limit for cash games and tournaments — with in-depth coverage on all aspects of play. This weighty volume will be an instant classic-poker players cannot ignore the professional advice from the greatest stars of the game.